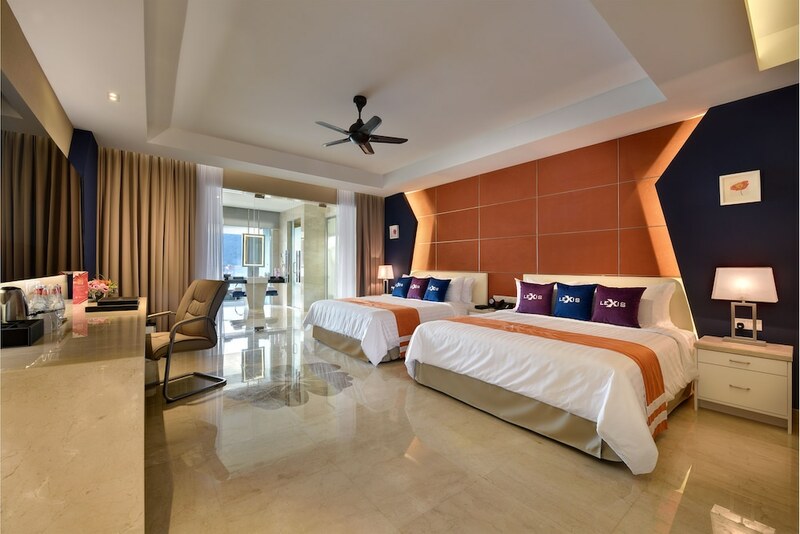 The best business hotels in Penang are fitted with quality guestrooms, efficient service, and onsite facilities that are specially catered for those travelling for business. Fondly regarded as the food capital of Malaysia, Penang offers a deluge of hawker delights, Nyonya cuisine, fresh seafood, and western favourites. Shopping is also a must-do in Penang, where you can find handicrafts at flea markets and night markets all over the island while modern shopping malls boasts international brands, fast food chains, and entertainment centres. Aside from hosting luxurious spas, swimming pools, and fitness centres, Penang business hotels are also conveniently set within the island’s prominent areas such as Gurney Drive and Georgetown, where you can visit breathtaking Buddhist temples, graffiti-style artwork, and colonial structures dating back to 17th century after a busy day of presentations and meetings. Read on for our handpicked list of the most popular Penang business hotels.